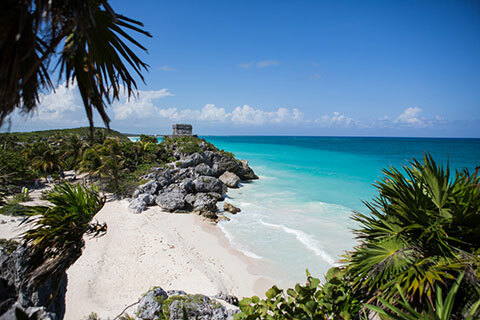 A visit to the Maya ruins at Tulum used to be one of the favorite day trips for travelers ensconced in Cancun’s hotel row, known as the Zona Hotelera, about 90 minutes north along the Yucatan coast. Twenty years ago, the little town near the ruins boasted a cafe, a few gift stores and a mangy dog or two asleep in the shade. Daytrippers still line up to wander through the old walled city (Tulum means “wall” in Maya), climb the Castillo pyramid perched atop the 40-foot cliff overlooking a nearly perfect sandy beach and wonder where the Maya people disappeared to six hundred years ago. 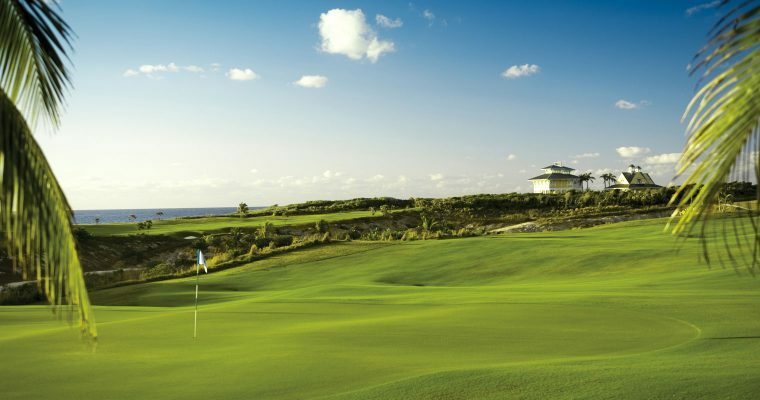 And the ripples of tourism development have lapped ever further south from downtown Cancun so that today the environs of Tulum contain both condominium colonies and all-inclusive hotels. For a few short years, Tulum was an old-fashioned getaway spot populated with aging hippies living off the grid, far from the day to day madness of the tourist trade. Then it was “discovered” and invaded by fashionistas and others searching for that elusive, laid-back, Birkenstock beachy life. So while much of Tulum now looks like the rest of the Maya Riviera–developed, gated, and designed to appeal to vacationing tourists–there is still an odd vibe to the place that makes it different from the rest of Quintana Roo. 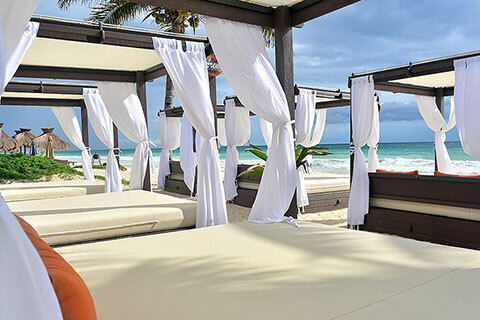 That vibe can best be described as the New Age meets the Old World, as many of the new, upscale, luxury resorts dotting the beaches around Tulum offer guests spa experiences that utilize indigenous herbs, flowers and oils and ceremonies that evoke the mystical traditions of the Maya culture. Of course, some of those “traditions” spring mainly from the creative minds of marketers trying to connect the modern world with that of the long-ago Mayans. While the Maya were formidable builders, as can be witnessed in places like Tulum, Chichen Itza, Coba and other cities that archaeologists have hacked out of the jungles of central America, little is actually known about the Maya culture, religion or daily life. But whether some of these “ancient” treatments and ceremonies are authentic or not misses the point. 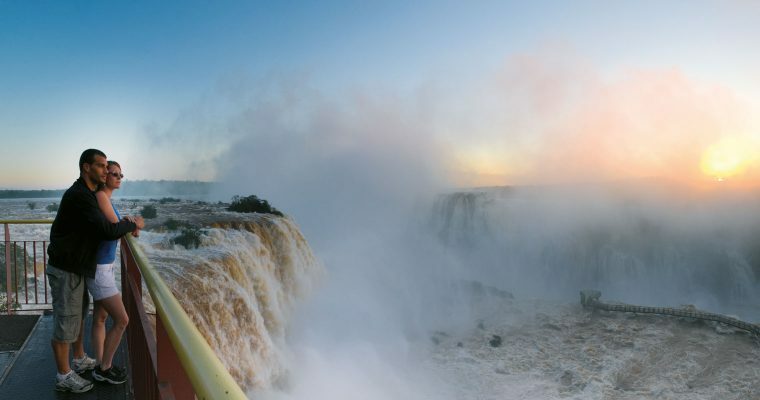 They are still good at forcing the traveler to, at least for an hour or so, separate from the stresses of the modern world, focus on the mind and the body, and to relax. That is never a bad thing. Here’s a list of some of the resorts scattered along the beaches near Tulum that offer unusual spa treatments to their guests. The treatments may or may not work; but a stay in Tulum, with its warm sunshine, beautiful sandy beaches, casual cafes and restaurants, and range of activities is almost sure to provide a positive vacation experience. You can still get a feel for the “old” Tulum at this lovely spot on the beach, which features 39 rustic, thatch-roofed “villas” in a resort with no electricity, TV, Wi-Fi, or telephones. The treehouse-like rooms feature windows open to the ocean breezes, king-size beds with mosquito netting, and ensuite baths. Wooden staircases descend to the beach which is private and clothing optional. The resort recently added an organic cafe serving breakfast, lunch and dinner and there’s a beach bar serving sushi along with your favorite drinks. Guests are bathed in a cloud of copal incense as they are welcomed into the Maya Magic Circle, welcoming light and love before a warm footbath and being anointed with essential oils. That is followed by a body wrap in banana leaves and a gentle massage with Mayan clay, honey and medicinal herbs. The ceremony ends with a spiritual healing ritual and bath with flowers and water, which are then offered to the sea. This sweat-lodge ceremony was called Temazcal by the Aztecs, and here, as was traditional in the Mesoamerican cultures, it is held in a special spherical structure representing the mother’s womb (it is dark, warm and humid). Medicinal herbal tea is tossed onto hot volcanic rocks to generate steam, while the special hut has four doors to symbolize the four elements, four seasons, four cardinal points and the four parts of one’s life: childhood, youth, adult and old age. The ceremony’s intention is to reconnect with one’s emotions and one’s ancestors. 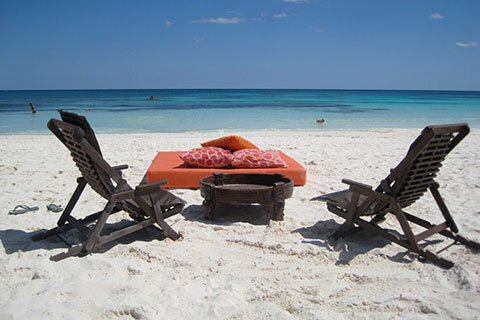 One of the first hotels in Tulum to offer air conditioning, this quaint resort offers nicely appointed rooms, a central swimming pool complex overlooking the beach, and a good onsite restaurant and bar. After relaxing in a room infused with the scent of copal, a resin from the Yaaxche tree, guests enjoy a stress-reducing mud massage and moisturizing facial. Exfoliation and body wrap using Yucca and Chaya extracts (regenerative and remineralizing), organic facial and sparkling hydro-massage bath. A relaxing 30-minute swedish massage is followed by a cacao body wrap with grape facial, ending with a chocolate bath. In addition to leaving one smelling sweetly, this treatment is said to induce a feeling of general well being. 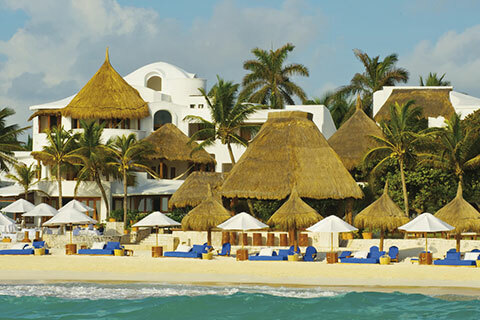 Some 24 luxury rooms are spread across two adjacent properties, the Amansala Grande and Amansala Chica. The resort is indeed upscale, fully juiced (with solar and wind-powered electricity and Wi-Fi) and an excellent choice for those looking for a beachside getaway. But Amansala has made its name with its “vacation with a purpose” special retreats designed to detox, destress and delight its guests. The most famous is the resort’s Bikini Bootcamps, usually held in the spring months. These weeklong sessions are designed to combine a weight-loss clinic, yoga retreat, fitness training and nutritional counseling, along with self-acceptance meditations. The program is designed primarily for women looking to get their bodies back in shape after a long winter and before the summer show-off season begins. A few years ago, Drew Barrymore and Reese Witherspoon, both post-partum, were joined by friend Cameron Diaz for a weeklong bootcamp. 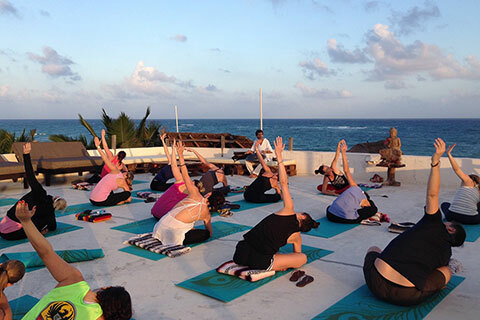 This week-long retreat features two lengthy yoga sessions on the beach each day, along with healthy meals, massages, and tours to the nearby ruins and other attractions. To get out of unhealthy habits of modern life, this retreat offers healthy mostly vegan meals, morning beach walks, daily yoga and meditation sessions, two spa treatments, a Maya clay body wrap, body sculpting sessions, and healthy cooking classes, as well as consultations with health and fitness trainers to take the good work home. With 49 beachfront palapas, the Maya Tulum encourages a barefoot lifestyle with its thatched roof rooms overlooking gardens or sea, soft linens, comfortable beds and fully appointed baths. This is a “winter” treatment designed to eliminate dead skin cells. With a combination of native plants and flowers including winter pumpkin, zempasuciti flower, tepezcohuite tree, oranges, aloe vera and corn, the treatment begins with a whole-body exfoliation and body wrap, plus a facial massage. After your skin has been polished, a Swedish massage will finish off the treatment leaving one glowing. Using locally produced honey famed for its medicinal properties, the treatment begins with a gentle sea salt exfoliation followed by a warm honey massage. This helps detoxify the body, revitalize the blood and balance the hormonal system. A full-body oil massage completes the treatment. The name translates to “Mayan Rebirthing,” and is effective at stress reduction and revilatization using Agave extracts with lemon and lime, aloe vera, cacao and honey. The full body cleansing and exfoliation is followed by a mud mask to draw out impurities. After a warm shower rinse, a lymphatic drainage massage with natural oils brings the treatment to a glowing conclusion. Some 20 sophisticated and stylish wood-and-stone decorated rooms in this fully on-the-grid resort overlook either the beach or the jungle.Some rooms have private pools or Jacuzzis, but all are a short walk from the beach. 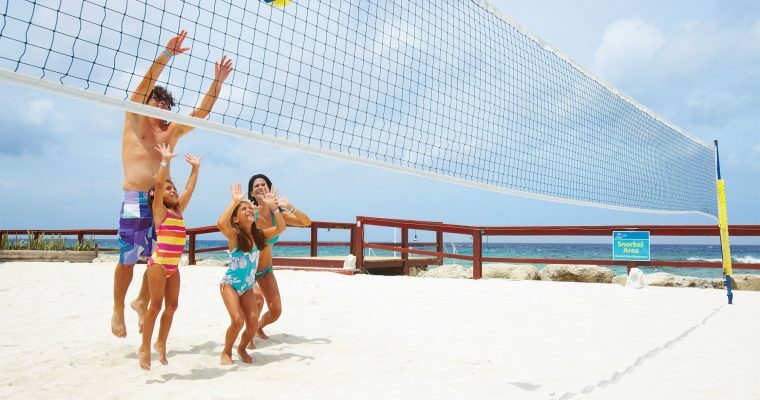 This full-service resort has restaurant, beach bar and a responsive staff to arrange any local excursion or activity. 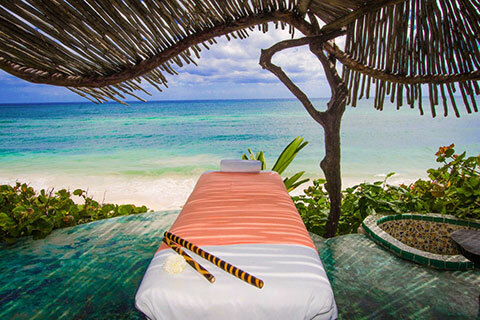 Be Tulum is associated with the Yaan Wellness Energy Spa, just across the road on the jungle side. 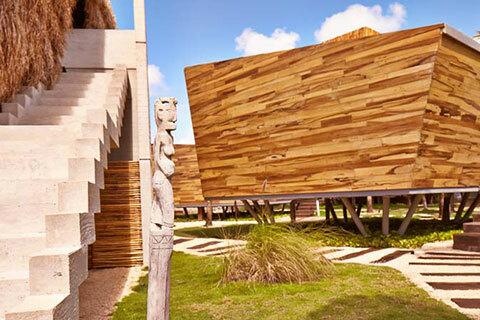 This collection of odd-shaped wood and thatch buildings contains a variety of unusual and relaxing treatments. This traditional Mayan massage uses native herbs, the sacred copal and a deep massage to heal and cleanse. The abdominal massage is centered on the dispersion of energy and realignment of organs before expanding to the rest of the body, stretching tendons and unblocking energy channels. This hour-long treatment also uses the local herbs and copal scents to provide a deep overall body massage to release energy and blockages. Ancient Maya prayers and psalms are intoned to help release deep rooted physical and emotional distresses. This traditional steam bath ceremony calls on the help of the four spirits of the cardinal points to reinspect the interior of one’s self and release the past, while cleansing and detoxing spirit and body. Leaving the Temazcal has been described as a rebirth experience, reuniting with the world with a clearer vision. This modern and relatively new resort on the beach contains 63 comfortable rooms and suites. The full servicer resort offers fine dining, tennis and swimming pools, a cultural palapa, walking trails and bike rentals. The resort’s Kinan Spa offers an oasis of luxury on the beach, with treatment beds pointing east-west to better align with the energy forces. The spa hosts daily yoga sessions, both public and private, for those who need to stretch weary muscles. There is even a special hive of melipona bees whose honey is prized for its medicinal qualities. A full body wrap with traditional herbs, which helps draws toxins out of the body, is followed by a honey and sea salt scrub to exfoliate and cleanse. Finally, a vigorous four-hand massage rejuvenates the body and excites the mind. 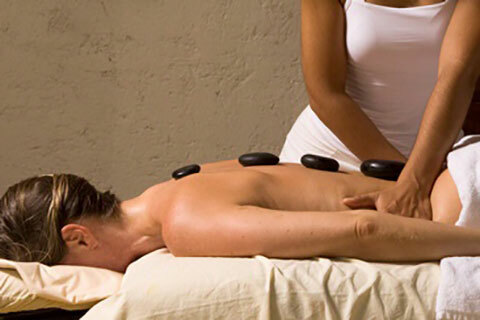 This ancient treatment begins with a coffee and sesame oil exfoliation followed by a soothing hot stone massage. Meanwhile, a warm lemongrass infusion is poured on the forehead to calm and restore the nerves. This mystical and romantic experience for couples opens minds and bodies to a new sense of peace and romance. The symbols and rituals unite the participants with nature, the universe and each other. 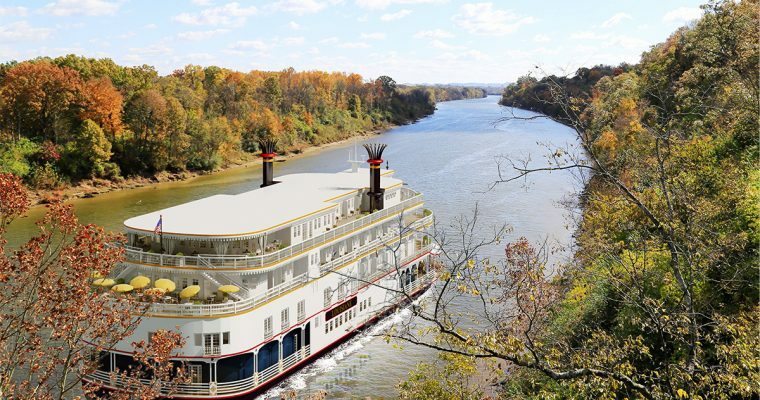 Your Distincte travel concierge stands ready to help you make arrangements for a visit to any of these resorts and spas, or anywhere else your travel plans may take you! (844) 387-3532, or email at reservations@distincte.com. The Maya were an advanced culture in the Mesoamerican regions of southern Mexico and central America noted for its hieroglyphic script–the only pre-Columbian civilization to adopt writing–as well as its art, architecture, mathematics and astronomy. Prior to 2000 BC, the Maya organized loosely in villages and practiced agriculture. Those villages began to combine into city-states in the Preclassic Period (2000-250 BC) cultivated the staples of the Maya diet: maize, beans, squash and peppers. The first Maya cities were built beginning in about 750 BC. Massive architectural structures began around 500 BC, and major cities boasted palaces, pyramid temples, astronomic observatories and ceremonial ballcourts. The Maya also created art from various materials, including paint, textiles, clay and stucco and more. Many of the structures extant today were built in the post-Classic era, between 100-900 AD. Ruled by hereditary kings, the elite Maya were literate and wrote down their history. Alas, except for a few fragments, most of that history was destroyed by the Spanish invaders of the 15th and 16th centuries. Some unknown event in the 9th century AD led to the collapse of some major Maya city states, leading to internecine wars and a general migration northwards. When the Spanish arrived, beginning around 1511 AD, their diseases killed off most of the surviving indigenous peoples. The last independent Maya city fell to the Spanish in 1697. In an award-winning career of more than three decades, Jim Bartlett has published more than 500 articles in magazines ranging from Esquire to Bon Appetit, Forbes to Sports Illustrated. As a freelancer, he was one of the most published golf and travel writers of his generation. He has also edited a half dozen national publications, including Golfweek, Caribbean Travel & Life, Luxury Golf, Our Place and now, Distincte. 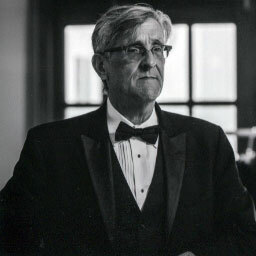 Bartlett is also the author of the Hacker series of golf murder mysteries and ten other works of fiction and nonfiction.